What to do with home grown rhubarb? 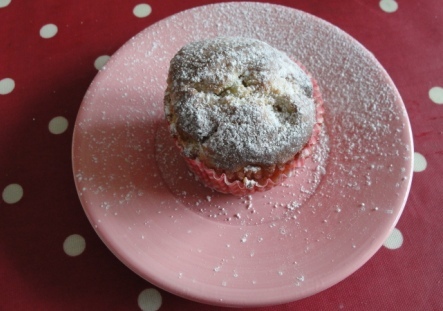 Minnie loves baking so we decided to try making some seasonal rhubarb muffins! 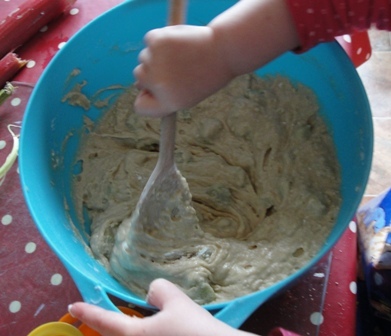 In a large bowl we sieved the flour, baking powder & cinnamon. In another large bowl we beat the mascarpone until soft, & then slowly mixed in the milk until creamy. 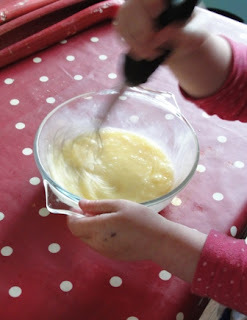 We then beat the egg into the milk mixture, & then stirred in the sugar, butter & chopped rhubarb. We then poured the wet mixture into the dry ingredients & mixed together. Once completely mixed we spooned the mixture into muffin case & popped them in the oven. The muffins took around 20mins to cook, & were beautifully golden. We left them to cool for a few minutes in the muffin tin to help the muffins retain their shape. 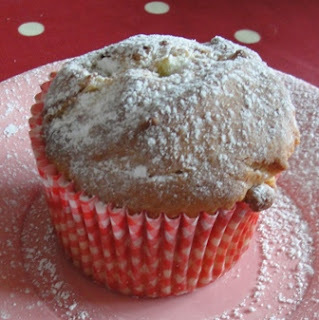 If you like your rhubarb tangy, then enjoy the muffins as they are. To take away a little of the sharpness, sprinkle a little icing sugar over the muffins, & enjoy! 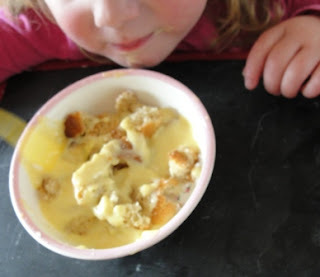 We had these muffins as a dessert with a little custard & they were very tasty! A great way to discover & cook seasonal food.